We stumbled upon this book at our local library. From the look of it, it was a brand new addition to the library and although the title didn’t grab my son’s attention, the picture on the front of two boys standing staring into a fire certainly did. We were captivated. Our shared reading sessions made us late for school on a few mornings and to sleep well after bed time. The story is about 11-year old Martin who is an only child. A little overprotected by his Mother, he’s become overly cautious about everything; an introvert who feels he doesn’t really fit in anywhere, least of all in his own family constantly feeling his Father’s disappointment. With no close “real” friends and a long Summer holiday stretching before him where he planned to stay at home, passing the time on his various devices, he finds himself surprised by his Father who feels Martin needs to harden up and become like regular male children his age. Martin is horrified as he finds himself being taken by his Dad to a strange island to stay with a Great Aunt he’s never met for an entire month. Without either of his parents coming along to look after him. After a bumpy start, Martin begins to question his Father’s motives (sounds ominous but Parents – nothing sinister or illegal, I promise), his relationships (or lack thereof) with people his own age, his feelings of self worth and his abilities. 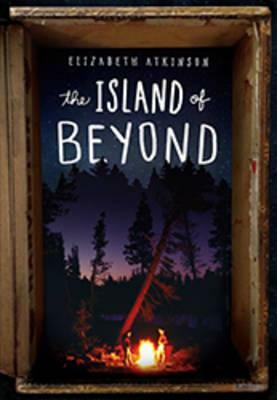 Over the weeks that follow, he befriends a strange boy on the island, learns about entertaining himself in the absence of TV or wifi, and sometimes the land line doesn’t even work. Martin longs to find the strength and courage within himself to overcome his fears and inadequacies, whether perceived or real. At times we laughed, at other times we were a bit sad. As a Mother there were times my heart broke for Martin. But the joy for me was watching my son discover the story as it unravelled and we discussed the various situations we’d read about. My son’s comments, thoughts and feelings about Martin, his relationship with his parents, Martin’s attitudes and behaviours were a wonderful eye opener for me about my son’s views and a very enjoyable bonding time. After reading the final few paragraphs and closing the book, my son turned to me and expressed his wish that we buy a copy of the book for his collection as he’d like to read it again. Awesome! Whether for a boy or girl, I’d highly recommend this story as it is a mini “coming of age”, but not in the birds and bees sense. More about discovering a part of yourself that is separate to your parents and then seeing them in a different light by understanding and loving them in a new way. If parents read with their children, then probably appropriate from about age 8 onwards as a great way to open lines of communication, otherwise I’d suggest from around age 10 if they’re reading to themselves. Written by Elizabeth Atkinson, I can honestly say I’ll be on the look out for her next children’s novel.